Dubai: The weather over the next few days is about to get warmer before it cools down once again. 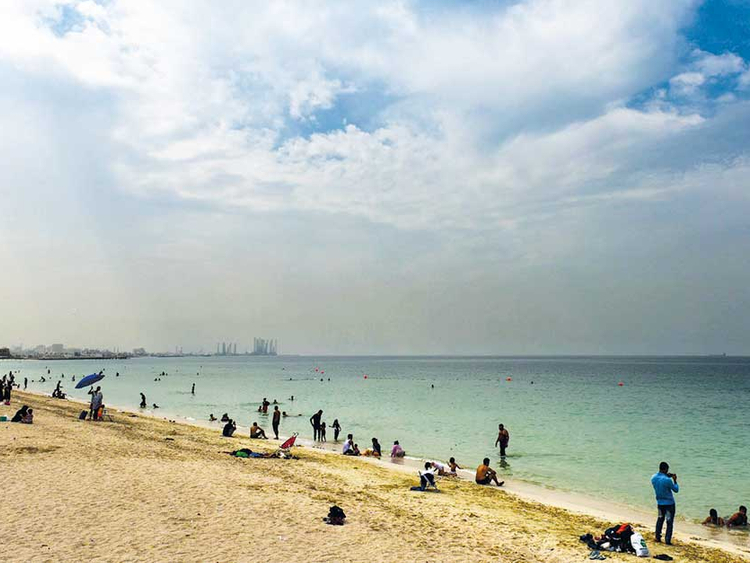 The Abu Dhabi-based weather bureau said on Thursday that residents will see partly cloudy days ahead, with a probability of mist formation in the early morning. From 4 - 9am, the National Center of Meteorology (NCM) reported a drop of road visibility to less than 1,000 metres across northern and eastern areas of the country due to fog. The NCM issued a yellow alert of fog fomation that covered areas from Ras Al Khaimah and Umm Al Quwain to Dubai and Al Ain. In a statement, the NCM said the country will be affected with strong northwesterly winds with a speed of 40 km/h, and rough waves of 4 - 7 feet are expected from 10pm on Wednesday until 2pm Thursday. Vessels were also warned of unstable weather conditions in the Arabian Gulf. Temperatures will become slightly hotter on Friday and Saturday, with fog or mist formation by morning over western areas, accompanied with some clouds. Good news is in store next week, as the weather will start to gradually decline on Sunday and Monday as the amount of clouds will increase over internal areas, especially over the sea and islands. Northwesterly winds with speeds of 20 - 30 km/h, reaching up to 42 km/h at times, will affect the sea and cause strong to rough waves in the Arabian Gulf and in the Oman Sea.